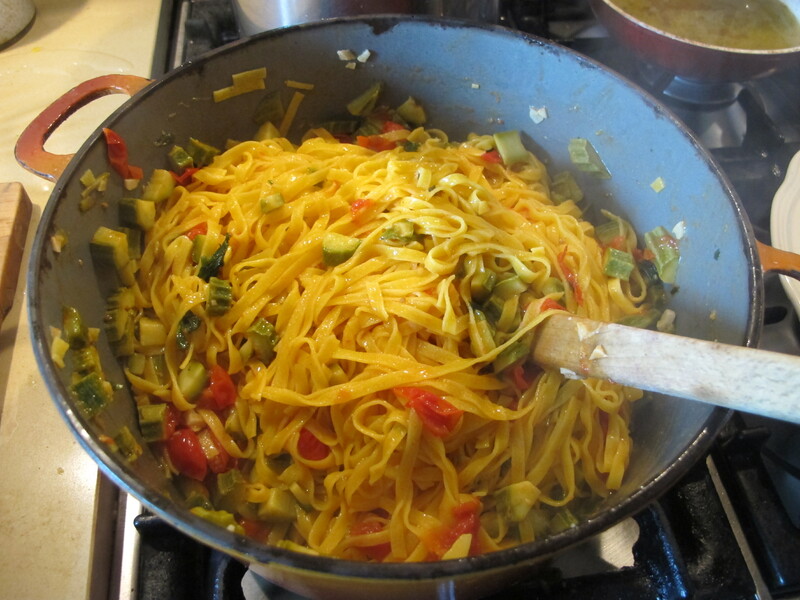 Uriah Heep was, as we all know, very humble and he came to mind when I was having to make lunch about a month ago using very ‘humble’ ingredients: dried egg pasta, courgettes and tomatoes. I had a little dare with myself to see if I could jiggle about with them and produce something that would raise an appreciative and taken-by-surprise eyebrow. 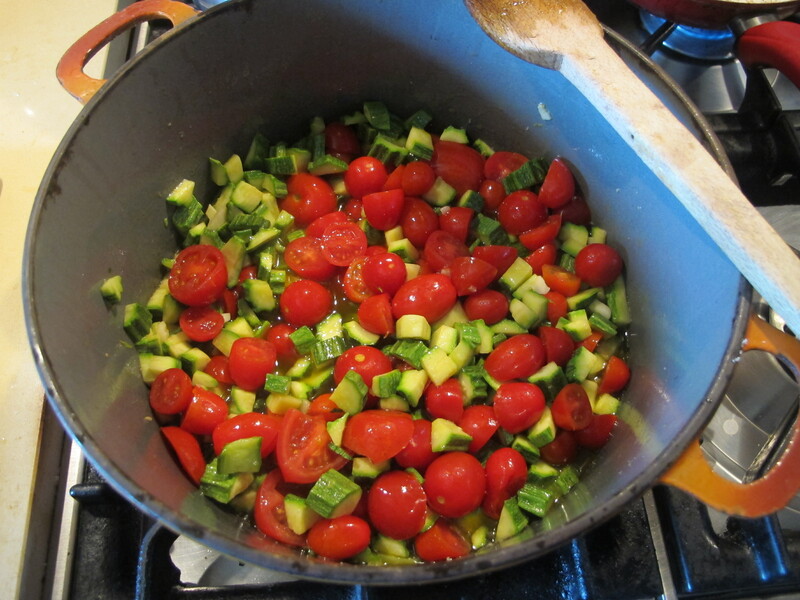 To do this, I decided to sauté part of the courgettes and fry the rest so as to play about with texture. 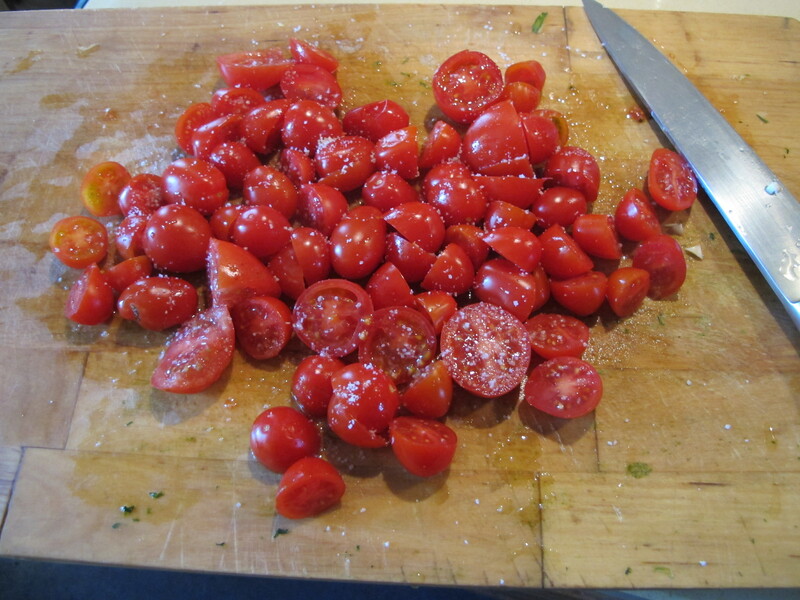 I cut up the cherry tomatoes and lavishly sprinkled salt all over them. 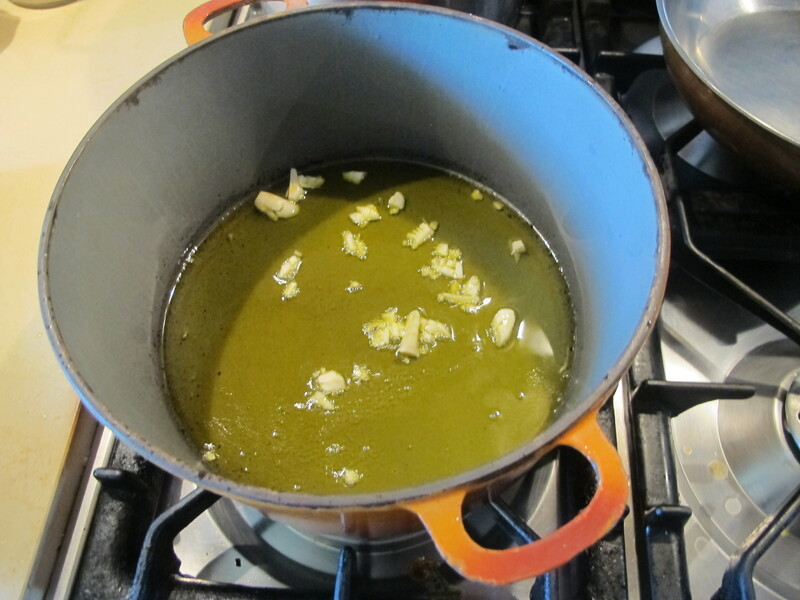 I gently sweated or sautéed or whatever the verb is … the garlic in olive oil (please note that the olive oil covers the whole of the bottom of the saucepan: this is the rule of thumb, so choose the size of your saucepan carefully). 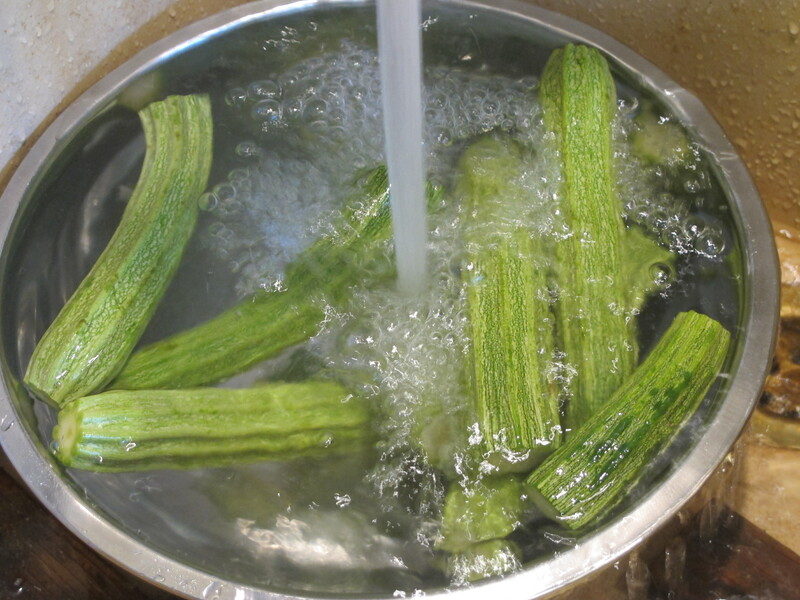 I put the courgettes through a cascading waterfall of a wash …. and then patted them dry. 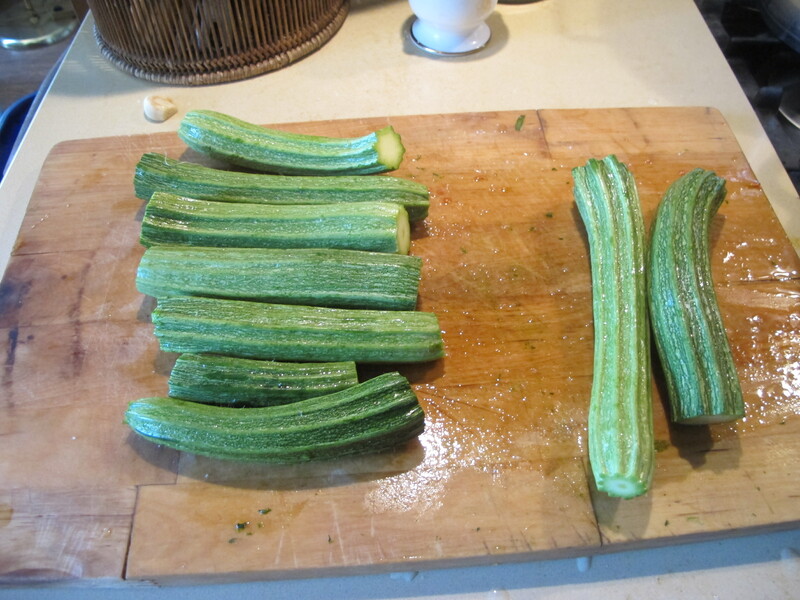 I divided up the courgettes. Those on the left were for cooking in the pan, and those on the right were for frying. 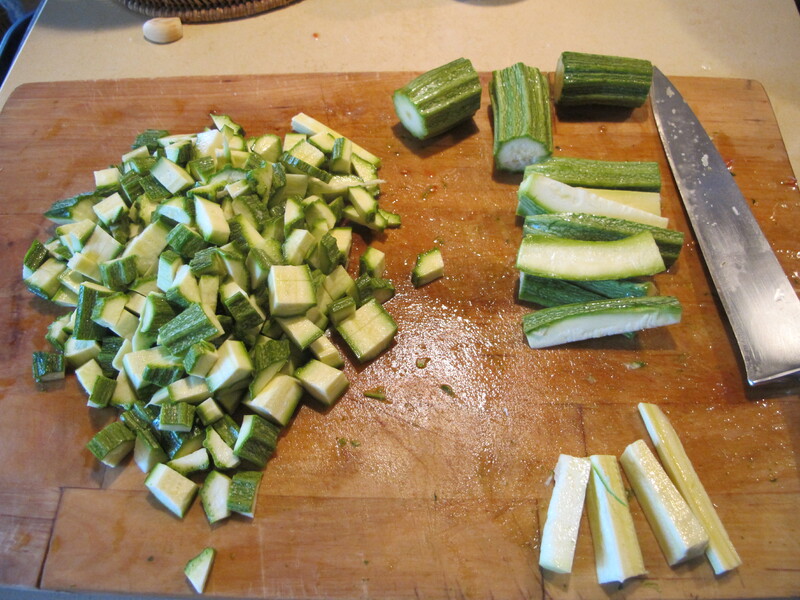 You want to use the green part of the courgettes and discard most of the white. The white part is basically tasteless (see what I meant about ‘humble’ before?). 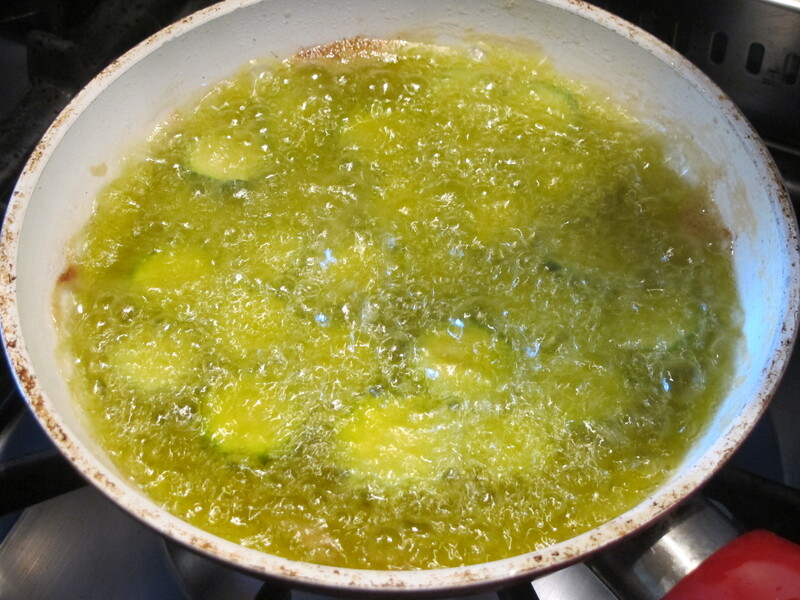 Add the chopped courgettes to the pan … cook them for about one minute, making sure they are all coated in the lovely garlic-scented olive oil. 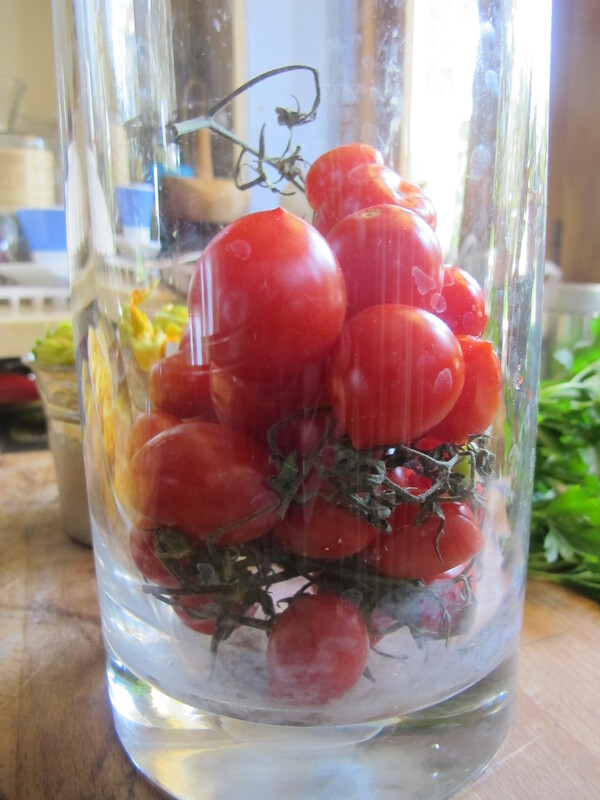 Then add the tomatoes …. 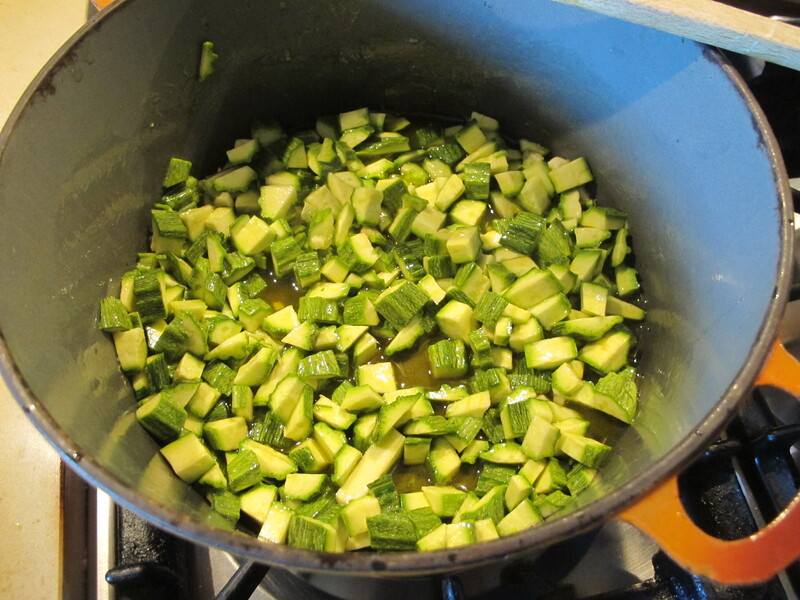 Place a lid over the saucepan and let them cook/steam for a few minutes, until the courgettes are fork tender (this won’t take long, and it all depends on what kind of courgettes you are using). 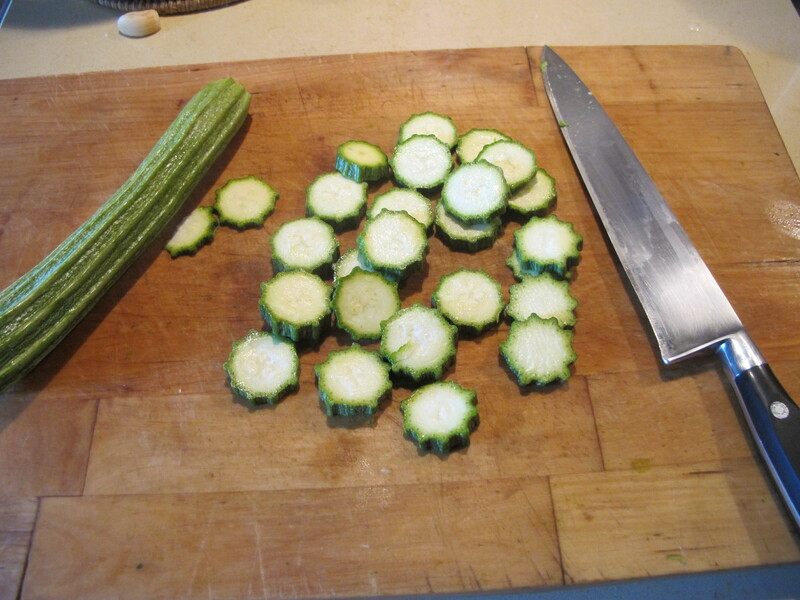 This time, slice the courgettes in rounds. 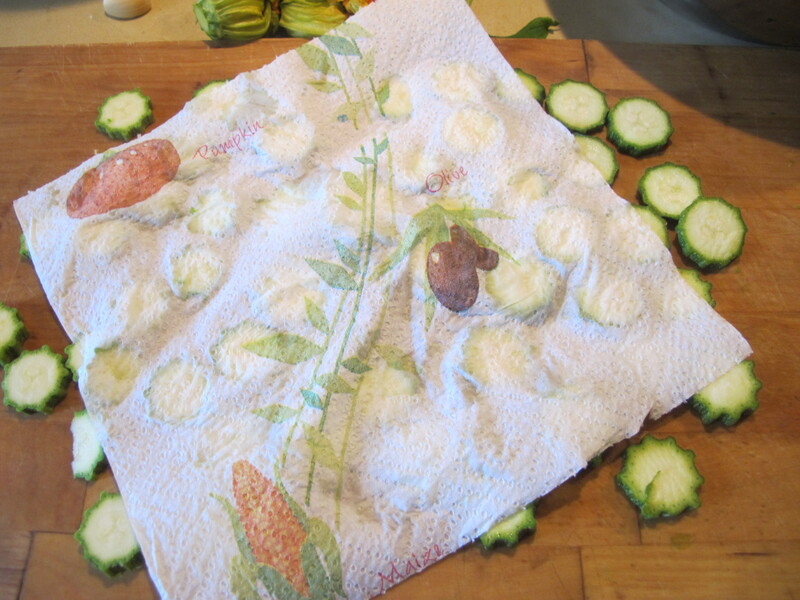 Pat them dry with some kitchen paper or towel … And fry the rounds in plenty of hot olive oil. Drain and set aside. 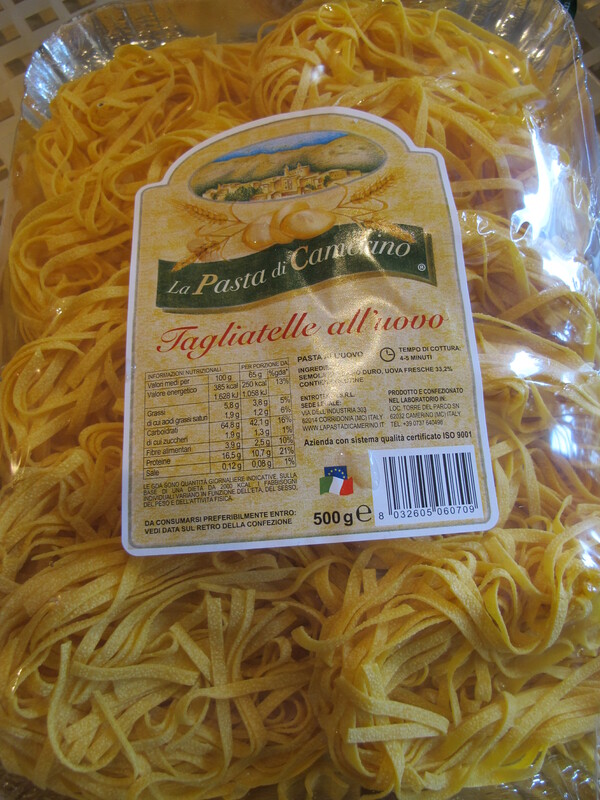 Camerino is a town in the Marche … I really like their egg pasta. 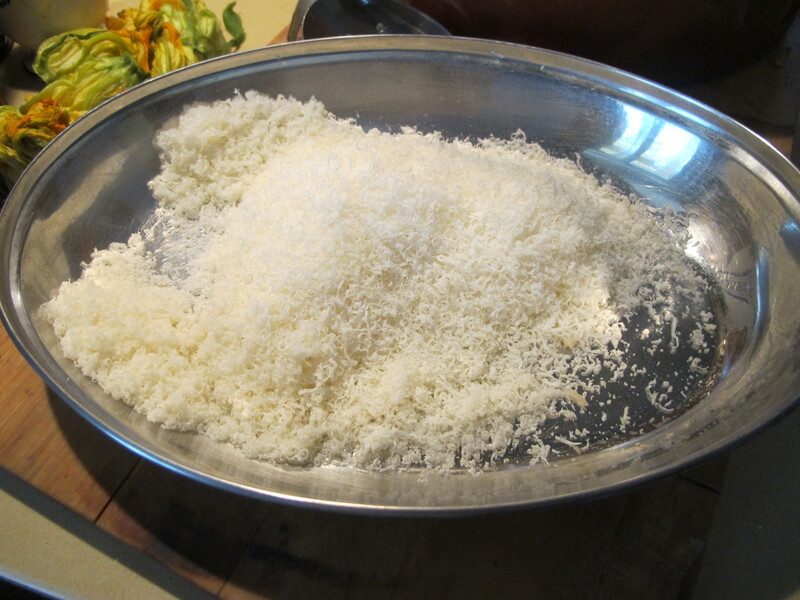 Cook the pasta … Grate the parmesan …. 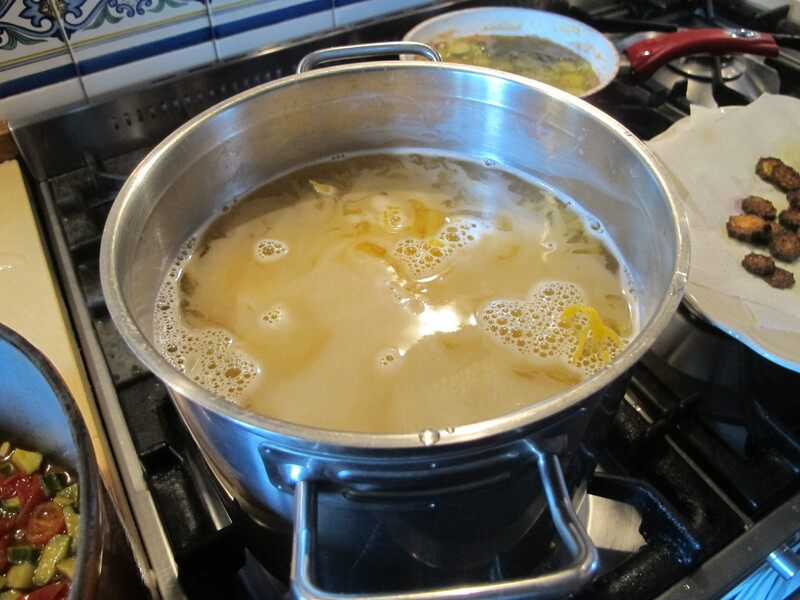 (take into account at least one heaped tablespoon per person – I was cooking for 4 people, using 500g of dried egg pasta). When the sauce is ready, taste and add a little more salt if necessary. And then add whatever herbs you enjoy: in this case it was mint. 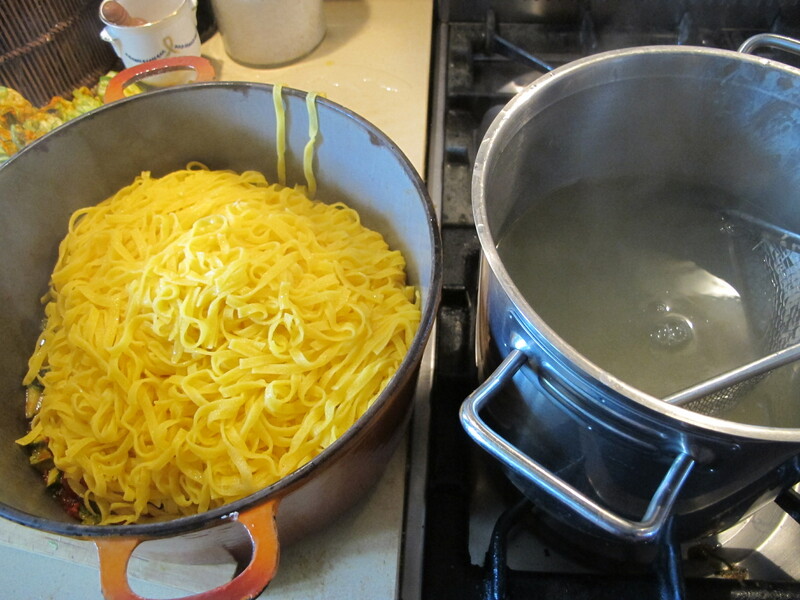 Make sure the pasta is well coated with the sauce …. 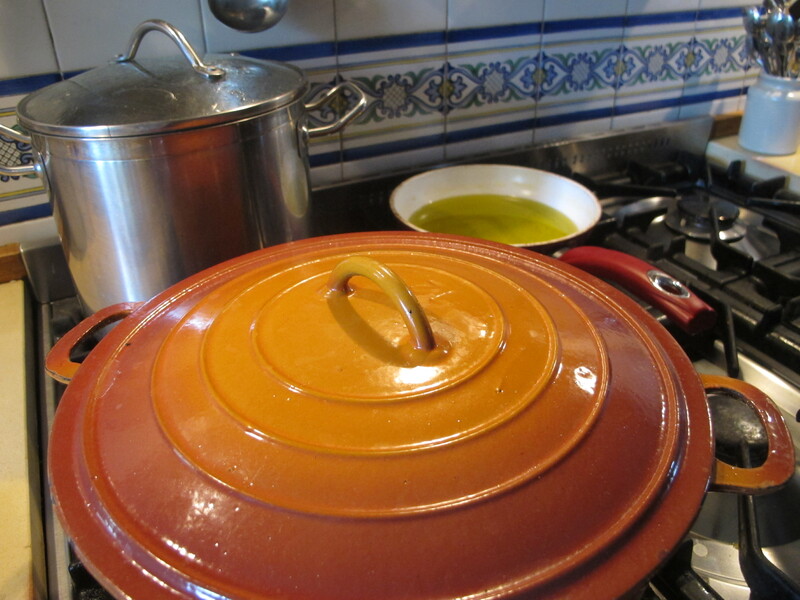 I prefer to do this directly in the pan, adding some of the cooking water if it dries out. 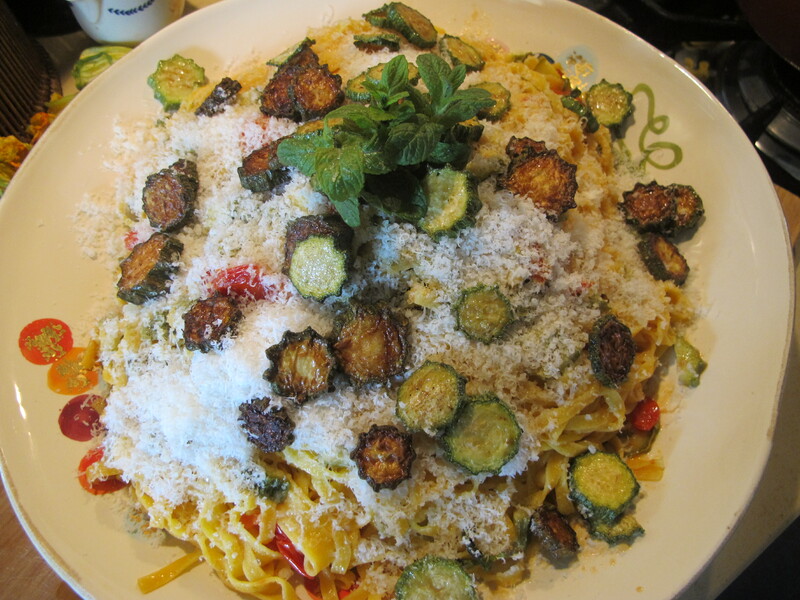 Sprinkle a lavish amount of parmesan as a snowy cap to the pasta, place the fried courgettes on top, and finish off with a sprig of mint. I am glad to say that I beat the Uriah Heep right out of this pasta dish … its taste was much ‘richer’ than the common ingredients might suggest. To finish off with something both Stephane Gabart of My French Heaven (http://myfrenchheaven.com/about/) and Gareth Jones with his Blue Collar Gastronomy would thoroughly appreciate (www.garethjonesfood.com/about) – every meal, even the simplest and least expensive, can be made special. P.S. I tried sprinkling a little bit of bottarga over my helping of this pasta and … it didn’t really ‘add’ anything – basically it was just a case of painting the lily. Whereas, I think just a hint of breadcrumbs toasted in olive oil would have supplied the crunch factor. 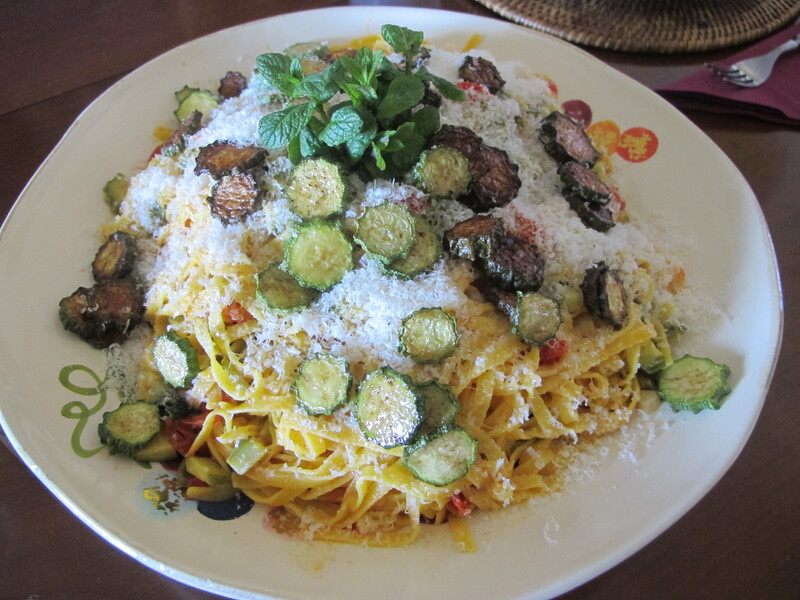 This entry was posted in Herbs and plants, italian home food, Primi (first courses - usually a pasta or risotto), Uncategorized and tagged cherry tomatoes, courgettes, Dried egg pasta, Gareth Jones, garlic, olive oil, parmesan, Stephane Gabart, zucchini. Bookmark the permalink. Lovely, Jo! 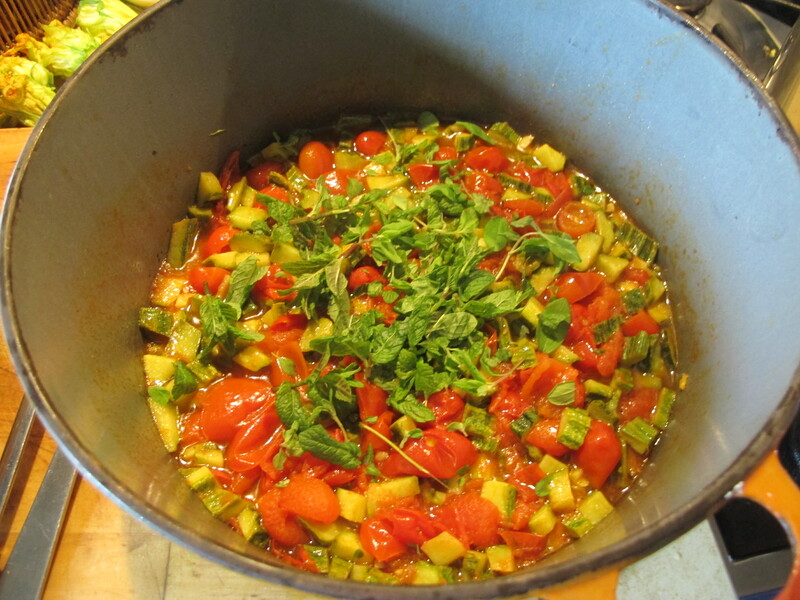 One quick question – did you remove the crushed cloves of garlic from the oil before adding the courgettes and tomatos or did you leave them in? Thanks. I honestly can’t remember is the scuffling my feet, eyes facing downward in embarrassment reply. But, knowing me, I probably left the garlic ‘in’. 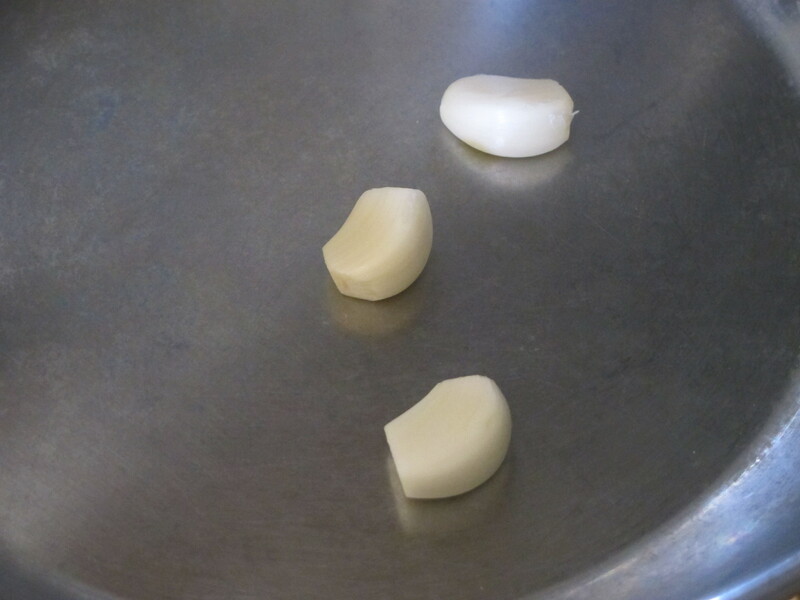 Once the garlic is cooked, it really isn’t THAT potent. The important thing is that it should stay golden, and not go brown and burnt. Just a quick note to let you know how very much I enjoy your posts and the way you cook and think about food, family and friends. And the pictures are great, too! Thanks! Why, thank YOU for your kind words of appreciation and good cheer! Can you tell me a little bit more about what being a serious Bunburyist entails? I tried logging on to the site but there is no ‘about’ … loved the cartoon Madeline created (and I also love Brazilian music) ! It’s a bit of an inside joke. The term, A Serious Bunburyist, comes from Oscar Wilde’s play The Importance of Being Earnest. One of the characters, Algernon, invents an imaginary friend, Bunbury, whose constant maladies allow Algernon to escape unwanted obligations and attend to his whims. The blog is my whim! Glad you liked Maddie’s film! Yes, we’re amazed and delighted by the reception the film has received. Actually, your site and Maddie’s film both focus on cooking for those you love! I think you left them in, too….looking with my beady eye (!) 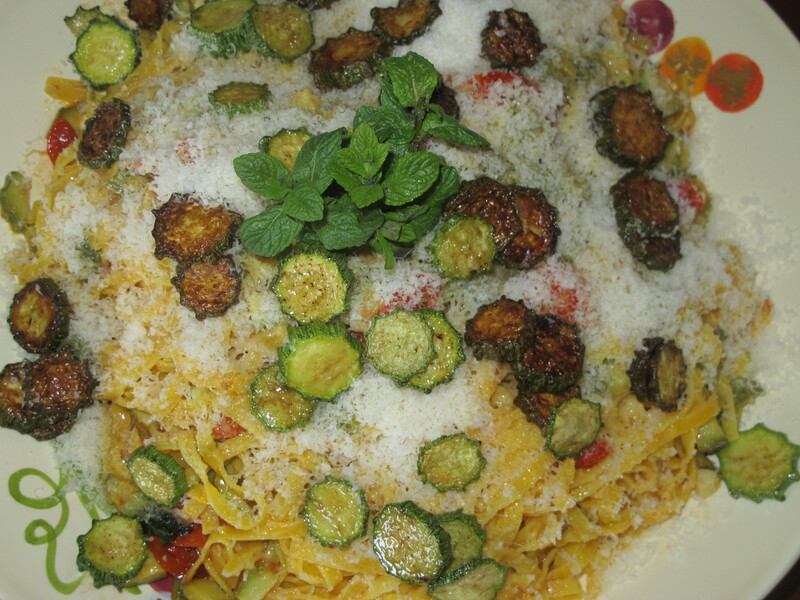 I can just spy little bits in the oil hiding under the courgettes…. yum! Lovely recipe, Jo. Brilliant in its simplicity. Ciao,i’ve arrived here after reading your eloquent comment in Mimi’s blog about trapanese.Like yourself,i admire Nigella,but I have a bit of a problem with her lack of authenticity when it comes to certain Italian specialities.The “there are different versions according to location and family traditions” approach is often a little too simplistic,and I must admit that havin lived in Sicily for 16 years,i’ve never seen a pesto trapanese like the one concocted by Nigella.Delicious it may be,but pesto trapanese,i’m not so sure….Anyway apologies for digressing from the subject of your post,your pasta with zucchini and tomatoes looks rather spectacular! Why, thank you Edith! I’ve never even been to Sicily, would you believe! But I have friends from Sicily and in general I do keep a beady eye on authenticity, I think it is very important. I’m rather relieved, too, by your comments because (a) I certainly did not wish to criticise Mimi’s way of cooking (if anything, I think she’s brilliant!) and (b) people are definitely free to cook any way they like! However, as you rightly point out, Nigella and others like her (I saw a Jamie Oliver recipe that said that melanzane alla parmigiana was a typical dish from the North of Italy!!!) like to cut corners a bit too much on occasion … and there is a huge difference between ‘simple’ and ‘simplistic’. Thank you for your compliment and good cheer! ….io metterei una grattatina di pepe bianco….oppure se lo trovi,il formaggio col pepe siciliano grattuggiato!!!! !….comunque mi fai ingrassare di un chilo solo a leggerti!. . .Grande Jo!!! Adoro il pepe bianco!!! e dove si ripertica, dalle parti nostre, questo formaggio col pepe siciliano? chissà che bontà! Nice post, Jo. I agree that toasted breadcrumbs would have been a nice addition. I usually roast the zucchini in the oven rather than pan-frying, in order to use less oil (and it’s easier not to let them burn that way). Nothing escapes your beady eye Stefan!! 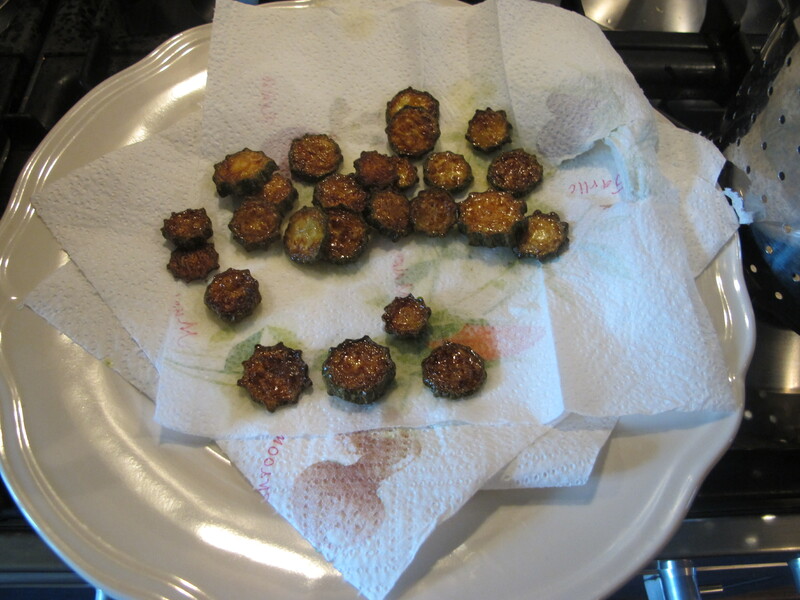 You are right: I did indeed over-fry the first batch of zucchine rounds I am sad to say … and guess why? The usual: the telephone rang and in those minutes of dis-attention, semi disaster struck. Well now, let’s not exaggerate, we were still able to eat them … but you know what I mean (look closely and you’ll see that the second batch were not burned).